THOMAS project is a four year project funded by the European Commission in the Horizon 2020 programme under Grant agreement No: 723616. The project consortium involves eight partners from industrial end users, technology providers and research institutions. 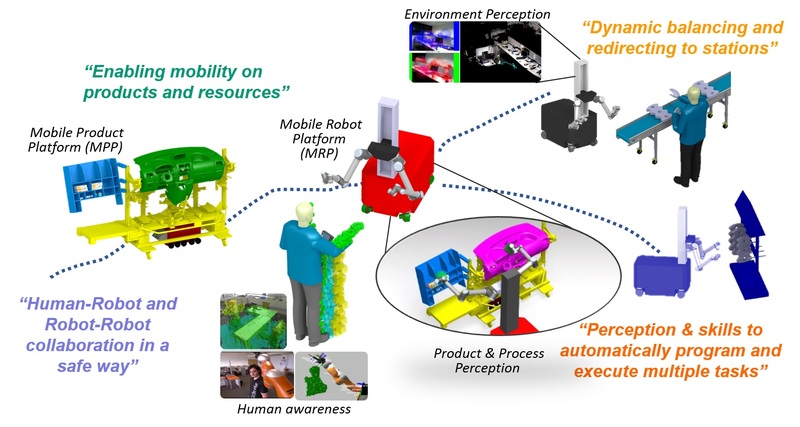 THOMAS vision is to create a dynamically re-configurable shop floor with mobile dual arm robots, able to perceive their environment and cooperate with other robots and humans. course of actions in order to achieve the production goals.